The word Sufi comes from an Arabic word Saf which means a purifying process. All the tragedy of life comes from the absence of purity, and what does purity mean? To be pure means to be natural. To lack purity means to be far from being natural. Pure water means water with no substance such as sweet, sour or milk or anything else mixed. Sterilized water means water made purer, in other words, natural. Sufism, therefore, is the process, of making life natural. You may call this process a religion, a philosophy, a science or a mysticism, whatever you may. It is true that all the religious teachers who have come to this world from time to time have brought this process of purification in the form of religion. It is therefore that Christ has said, I have not brought you a new law, I have come to fulfill the law. It is not a new process, it is the same old process that the wise of all ages have given. If there is anything new given in it, it is the form in which it is put to suit a certain period of the world. Now in the present period of the world it is given in its present form. 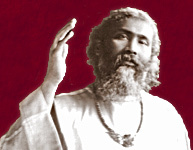 A person may think by spirituality it is meant that one must learn something which one did not know before, or one must become extraordinarily good, or must attain some unusual powers or must have experience of a supernatural kind; but none of these things does Sufism promise, although in the path of a Sufi nothing is too wonderful for him. All that is said above and even more is within his reach. Yet that is not the Sufi's aim. By this process of Sufism one realizes one's own nature, one's true nature and thereby one realizes human nature and by the study of human nature one realizes life in general. All the failures, disappointment and sorrow are caused by the lack of this realization. A success, happiness and peace, is acquired by the realization of one's own nature. In a few words Sufism means to know one's true being, to know the purpose of one's life and to know how to accomplish that purpose. Many say, out of disappointment, 'I shall perhaps never be successful in my life,' not knowing the fact that man is born to do what he longs to do and success is natural, failure is unnatural. If man is himself the whole world is his own, if he is not himself, then even his self does know what he is, where he is, why he is here on the earth; then he is less useful to himself and to others than a rock. It is in self-realization that the mystery of the whole life is centered. It is the remedy of all maladies. It is a secret of success in all walks of life, it is a religion and more than a religion. And at this time when the world is upset this message conveys to the world the divine message. What is wrong with humanity today is that it is not itself and all the misery of the world is caused by this. Therefore nothing can answer the purpose of humanity save this process of sages and of the wise of all ages, which leads souls to self-realization.